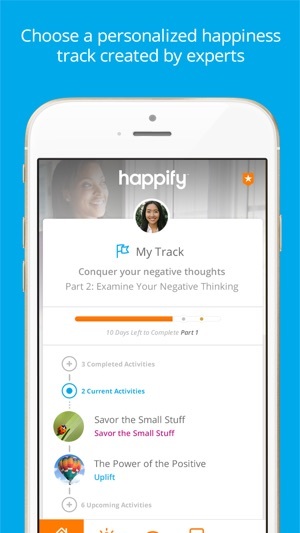 I had high hopes for Happify, but, so far, it’s stressing me out. Imposing deadlines I never meant to put in myself by challenging me to do something nice for someone is stressful. 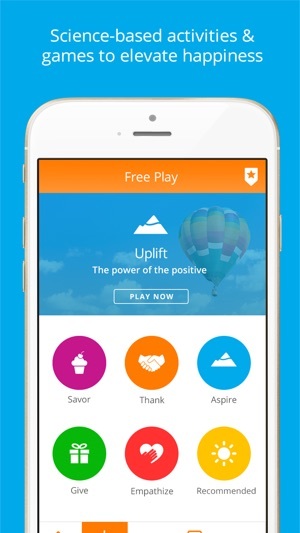 The words in the “uplift” game that are supposed to be empowering and uplifting are sometimes actually unattainable ideals and/or things some people don’t aspire to (I don’t want to be “perky,” for instance. That’s not my personality. I am happy, and pleasant, and even outgoing, but not perky). Some people reading these words won’t feel uplifted so much as invalidated. Words like “peace,” “calm” and “uplift” were fine. When the game got too cluttered, again, it was just stressful, because I couldn’t read anything. The reminders from Happify of what I am supposed to be doing on the app, the little icon that shows my mood, and tools that measure my progress ~ all of this would be great, if it was designed to make sure the user easily maintained upward movement, but it’s not. It’s all extremely pressuring and stressful, in my opinion. It feels more like a challenge I am trying to meet than an app that is supposed to help me feel better. 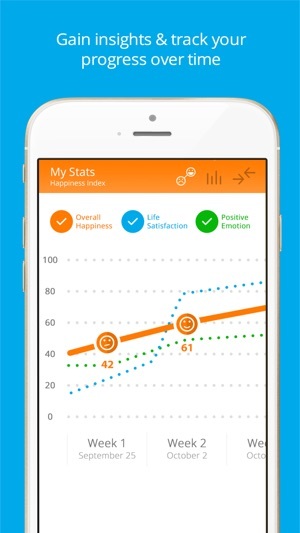 Life Transformation in a app! I had Happify on my phone for a couple of years before I used it. I got it for free when Starbucks gave away apps and music. I started a minimalism lifestyle transition earlier this year and by summer decided to reduce the number of apps on my phone. I decided to open up Happify and see what it was about before I deleted it. I did the first track recommend and it was awesome. I was going through my annual feeling stuck and hopeless season. I felt I needed to do something drastic this time around. I was tired of the loop that was my life. I had to break free. No drastic actions needed. This app gradually transformed my mind state. I am happier now for real. I don’t have to force myself to be happy. I have less anxiety about money, my negative mind-state is now struggling for survival instead of being dominant. I feel freer. I have a refreshing perspective on life-a paradigm shift. When the student is ready the Teacher will appear. This app was in my life, patiently waiting for me to see it. I have used this app for less than two days and already it has been more understanding and compassionate about my emotions and feelings than all of my family members put together. I had a poll about my least favorite chore and that made me feel listened to. I was just having an emotional meltdown that peaked after three hours and after looking at my phone and seeing a notif for a ‘Happiness Check-In’, I had stopped by the time I read the first question. It was comforting to be acknowledged and cared about individually. The games actually are helpful and the ‘Why this Works’ section is informative and inspires faith and confidence. 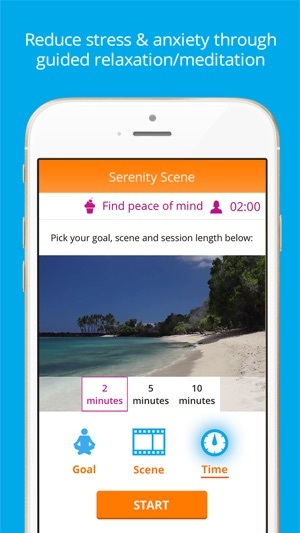 I recommend this app to my family, friends and anyone who is having it rough. 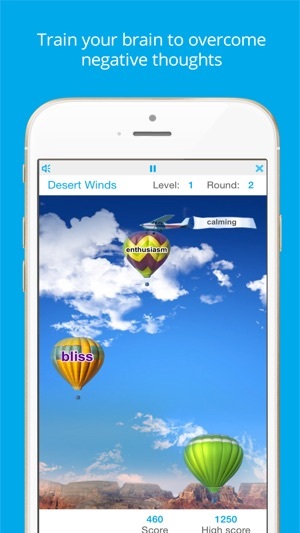 I have tried a lot of these sort of apps before and this one stands out from the rest. One yearly subscription fee ($4.99 a month with $60 as full payment for a year) is $20 cheaper than two weekly visits to my old therapist under insurance. Please give this app a chance. Thank you developers for making such a great thing for everyone. Edit: Purchased the full version, have a week free trial of coaching. 4 days have gone by, no daily advice, questions answered, or progress reviews as promised. Trial expires in two days and haven’t even gotten to use it. Very upset. Considering a full refund.